Is Your Child Learning About Finances At School? 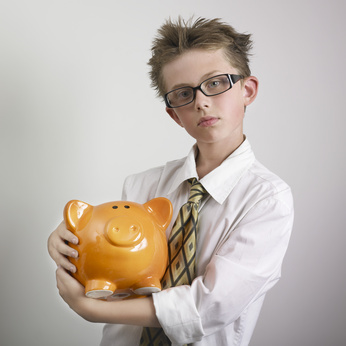 HomeBlog BlogIs Your Child Learning About Finances At School? The Motley Fool website had an interesting article the other day titled Why Financial Education Must Be Taught in Our Schools. The article was based on the fact that the Securities and Exchange Commission (SEC) recently reported that many of us don’t understand even the basic financial concepts. US Secretary of Education, Arne Duncan, feels that one of the biggest gifts that you can give our young people is to be financially literate when they graduate from high school. The fact is that people who just don’t understand finances are going to have a tough life. There are only 25 states that require high schools to offer a course in economics and only 22 of the states require that kids take the course. This means that in 27 states, high school students graduate without being taught just a basic understanding of economics or personal finances. The goal of teaching finances in high school is not to teach kids about derivatives or mortgage-backed securities. It should be to teach them the basic fundamentals of personal finances from handling their checking account to buying a car or dealing with income taxes. There are actually some very tangible benefits that come from teaching kids the basics in school. In 2011, there was a survey done that showed students from states where they were required to take a personal finance course are more likely to save money and less likely to max out their credit cards. It was found that they were also more likely to pay their bills on time and are willing to take some financial risks. Why don’t states teach this information? The most common obstacles to this are time and resources required. There is now so much of a focus on the basics and on competency testing that teachers just don’t have enough time to be able to teach personal finance. Plus, many teachers don’t have the appropriate training or enough confidence in their own ability to handle money to teach effectively. If your child is not taking economics or personal finance at their school, the most important thing you can do is set a good example by handling your finances responsibly in your everyday life. As you may have already have seen, kids learn from what they observe and see. You can encourage your children to think about money and make good decisions by having casual conversations with them, explain why things cost what they do and how they are paid for. You can also give them a chance to succeed on their own by giving them an allowance so they have to make choices about how they spend their money. If you live in a state where economics is not taught at the high school level, contact your representatives and explain to them that this is just not acceptable. You should write or e-mail them and demand that they introduce legislation that would require students to complete a course in personal finance to graduate from high school. You may have to keep hammering away on your state representative or state senator to get action but it should be well worth the effort. Speaking of action, you should also get active in your school’s parent-teacher association (PTA) so you can promote a course in personal finance from this position as well. If your estate is one that requires a course in personal finance, be sure to check the curriculum to see that your children are being taught what they need to know to succeed financially. They need to be learning the right things and from teachers who are qualified to teach them. Visit the page to know more about Debt Consolidation.